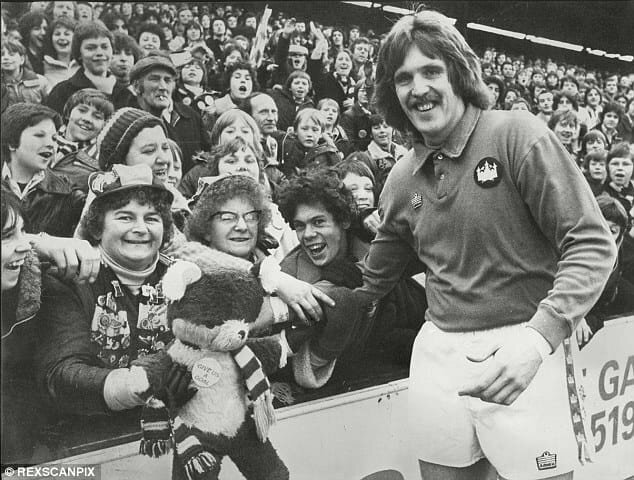 My name is Steve, I started following west ham when my dad took me to a game over the Boleyn ground I was about 7 years old and a local lad from east ham I can remember he made me a home made stool so I could see over the west side wall where my late dad Roy liked to stand, from then on I was hooked and have followed the hammers over the country and abroad for 40+ years. 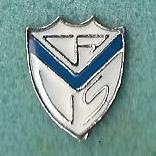 My love of football badges has always been with me but more so since I developed diabetes and have lost a bit of my eyesight meaning I can no longer attend matches, I have been collecting them for 30 odd years but sadly due to hard times had to sell my collection but vowed I would start up again and dedicate more time to them hence this website. Here you will find all world badges that I have accumulated over my years of collecting and clubs that have a pair of crossed hammers on them like west ham united which goes to show a pair of crossed hammers is the most popular badge in the world. 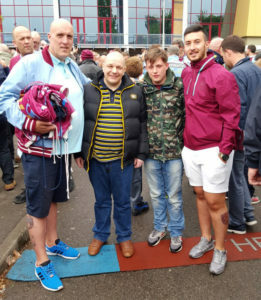 and thanks to my very good friend Jon Pope of Hammers Chat who I met through my daily gossip column on hammers chat this website was born, I hope you enjoy this site and please fell free to leave a message in the guestbook. 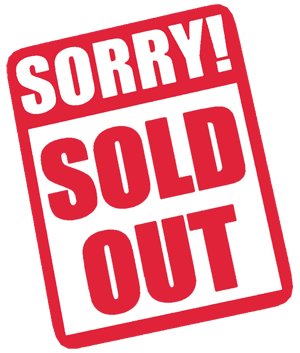 I would also just like to thank everyone from Hammers Chat & Kumb who have collected badges for me over the years. All your help and support is always appreciated. 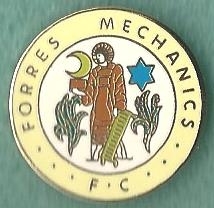 We now make quality badges to order please feel free to e mail us for further information. 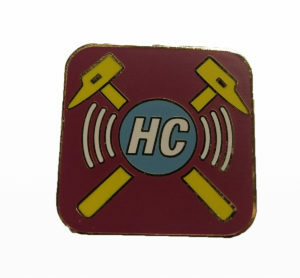 Please see below examples of the Hammers Chat & KUMB badge which we produced for the relevant site. About 25 years I started collecting football badges from around the world, one day a good friend of mine from Poland, sent me the club badge for a Polish team called Gornik Zabrze, I could not believe my eyes , like our club West Ham United it had a pair of crossed hammers upon it. 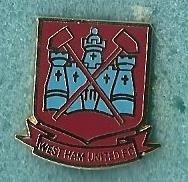 At first I was surprised that we were not alone in having a pair of crossed hammers on our crest. but with a little research I soon become hooked and decided to find out more about this club from Poland, and subsequently found many more, I just could not believe my eyes, and I was amazed by how many clubs and countries from around the world have the crossed hammers as part of their crests. 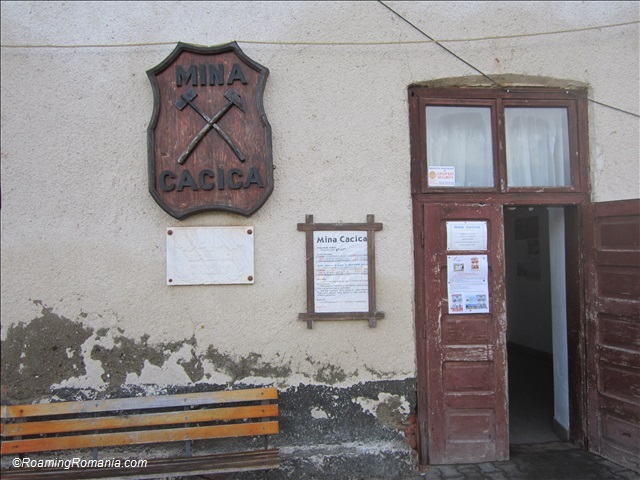 Most of the crossed hammers stem from industries of coal mining copper mining and ship building from Poland the Czech Republic Slovakia Germany and many other eastern block country's after the second world war when Germany was divided in to east and west all existing football clubs were disbanded, and then had to reform under different names,a new social system, a new culture and new clubs!!! 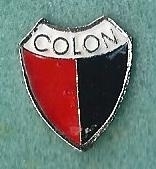 as East Germany was to be a socialist worker's republic, the clubs took there names from local firms,businesses and industrial companies, and were intended to be representive of thier working class roots since proffessionalism was frowned upon behind the iron curtain many players remained on the works payrollls but were given menial non-taxing jobs that allowed them the time to train. All the way up until the fall of the Berlin Wal,l football there was governed by a central body known as the dfv, who also decided which players would play for which teams and inevitably it led to them becoming a corrupt regime and all of the country's top players ended up at a very select handful of clubs with the lack of a transfer system players more or less had to do as they were told or they simply did not play. Sometimes the club had the name of a smaller individual firm or factory who supported them, and there was a law which meant that every firm had to sponsor their own sport's club, one of the oldest names I have come across was from the region of Chemnitz whose team is now called Karl Marx Stadt,, but back in the day they was called Betreibssportgemein Motor Fritz Heckertkarl Stadt!!!! you can bet it was fun on the terraces when some wag shouted out give us a B!!!! So now when ever you see a badge with a tractor on it you know it's linked to the agricultural industry, and when you see a game between Stahl and Dynamo its the steel workers vs the old bill!!! 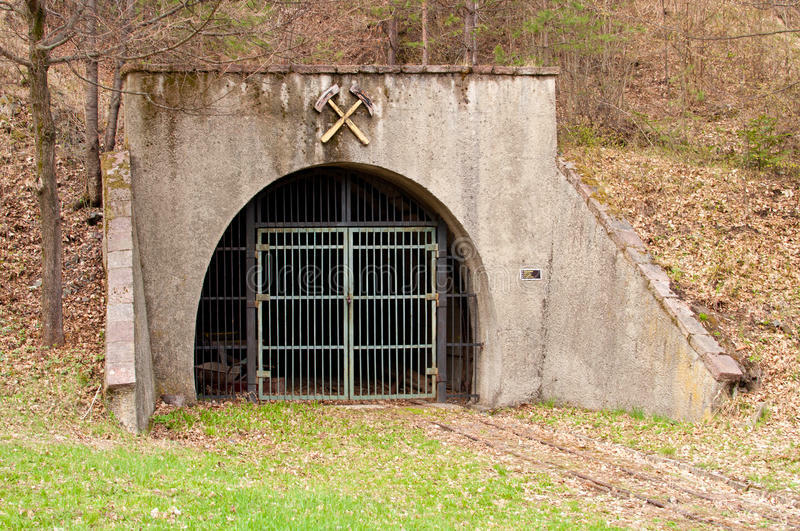 another thing you see on many badges is the word gluck, which is German for the word luck and much used by the mining teams whose workers spent long hours under the ground and was said whenever they were on there way down into there subterranean hell holes. I now have crossed hammers football club badges from 27 countries from around the world in my collection. I always find it how remarkable and diverse the West Ham supporters are. 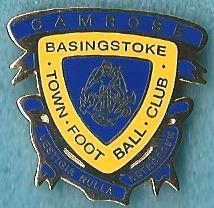 Just a brief browse through the badges shows how many of our loyal fans come from far and wide. 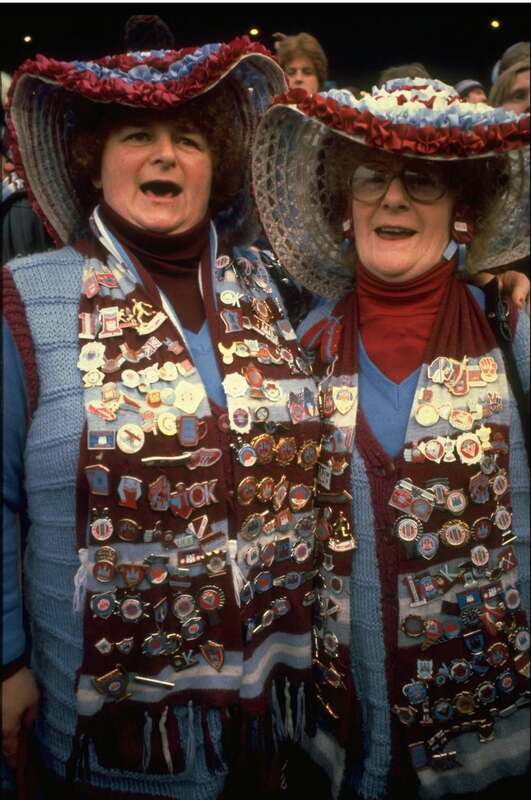 Visiting the badge and scarf sellers was always a massive part of everyone'e match-day ritual when going to Upton Park and that is sadly something that no longer exists. 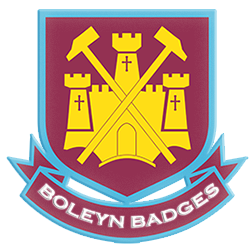 This is why Boleyn Badges is such an important site, it gives us a link to our past and our own supporter heritage. 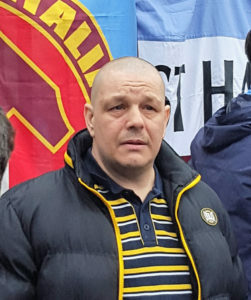 There is something very special about wearing an enamel badge with your supporters club crest on it and unfortunately something that is dying as the game of football marches towards corporate modernisation. So well done to all involved . . . . . . . . .a little bit of our history is now documented for all to see and enjoy.